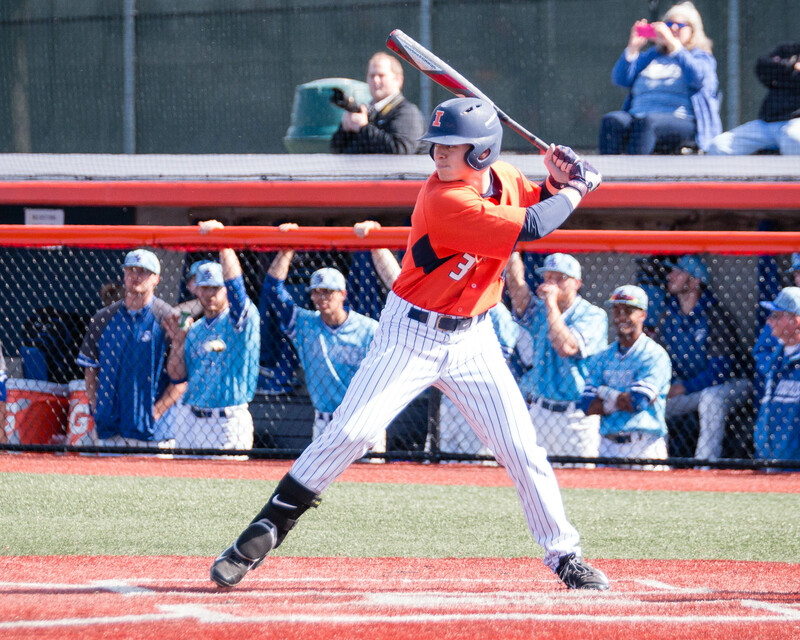 Illinois’ Jack Yalowitz waits for a pitch against Indiana State at Illinois Field on April 1. The Northwestern pitching staff escaped one bases-loaded, no-out inning Friday night against Illinois. 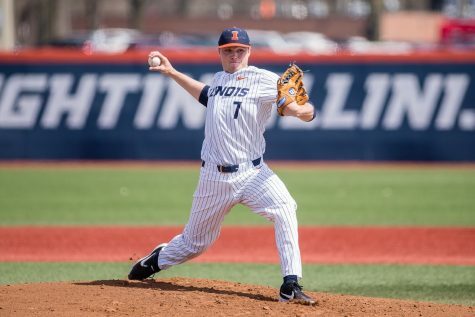 Starting pitcher Cooper Wetherbee got Illinois’ Casey Dodge to ground out to get out of the third inning jam. However, the Wildcats could not do it twice in their 4-3 series opener loss. Illinois sophomore Tyler Engel pinch-hit for Trent Hammond in the 11th inning with the bases loaded. 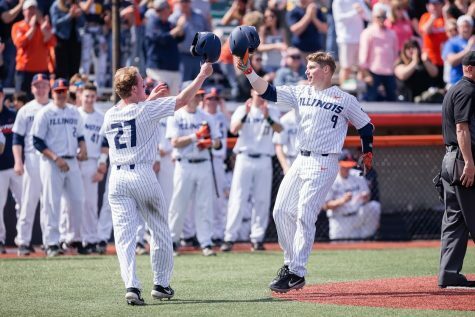 Fighting to a full count against Northwestern reliever Pete Hofman, Engel drew a walk-off walk. Engel was not rattled by the circumstances he was asked to perform under late in the game. 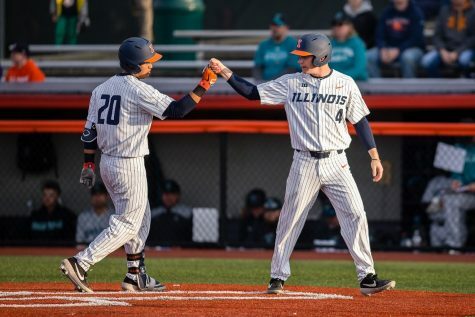 Illinois head coach Dan Hartleb rounded out his lineup for the series opener with Doran Turchin, Dan Rowbottom and Hammond. The trio’s combined average entering the game was .215. The bottom-third of the lineup – including Engel’s pinch-hit appearance – batted 5-for-10 with three walks and four RBIs in the win. “If you can get the bottom part producing like that and getting on base, all of a sudden it is tough on opposing pitching staffs,” Hartleb said. 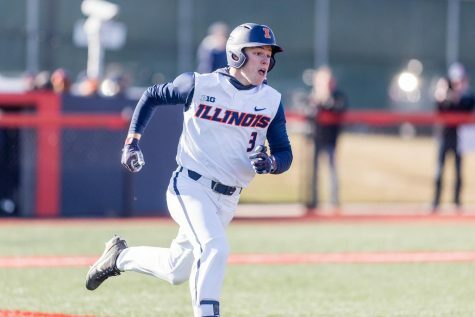 Turchin started Illinois’ fourth-inning rally with a two-out double to left-centerfield. Rowbottom followed by hitting a sharp grounder that Northwestern second baseman Alex Erro could not make a play on. Hammond followed by drilling a line drive to left-centerfield, which drove in Turchin and Rowbottom to give Illinois a 2-1 lead. The senior had one RBI in his previous seven starts. Turchin extended Illinois’ lead to 3-1 with a sixth-inning home run, his fourth of the season. 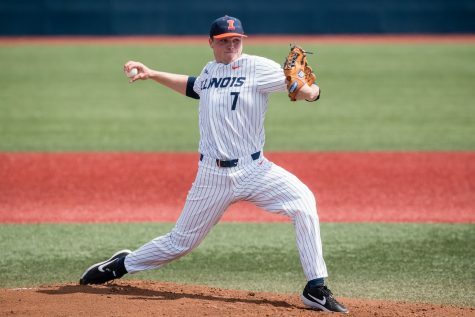 Right-handed pitcher Ty Weber started for Illinois and continued his successful freshman campaign, surrendering one earned run and four hits in seven innings. Northwestern designated hitter Leo Kaplan hit his second homer of the season in the seventh inning off of Weber. 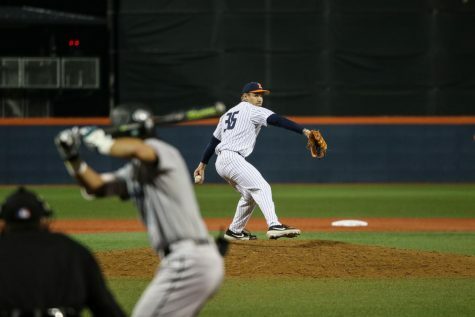 Weber was named Big Ten Freshman and Pitcher of the Week on April 3 after throwing a complete game against Indiana State. Freshman Ryan Thompson relieved Weber in the seventh inning. Thompson hit and walked two Wildcats, and cleanup hitter Joe Hoscheit hit an unplayable bouncer at shortstop Ben Troike to allow the tying run to score. Illinois’ defense played a big role in keeping Northwestern’s offense in check. 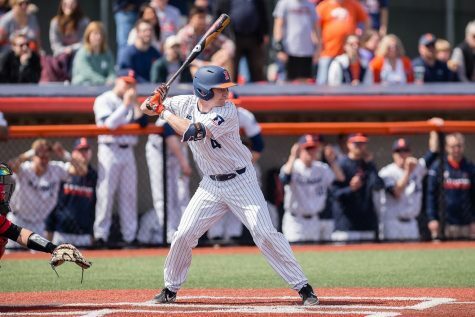 The Illini turned three double plays, including two of the 5-4-3 variety. 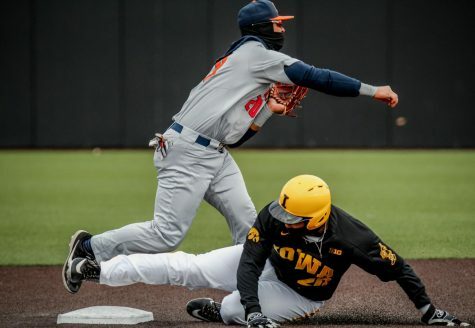 While a Troike error allowed an unearned run to score in the fourth inning, catcher Mark Skonieczny saved two potential runs by throwing out runners attempting to steal second base in the ninth and 10th innings. The game’s start time was delayed 83 minutes until 8:25 p.m. due to rain and lightning in the area. 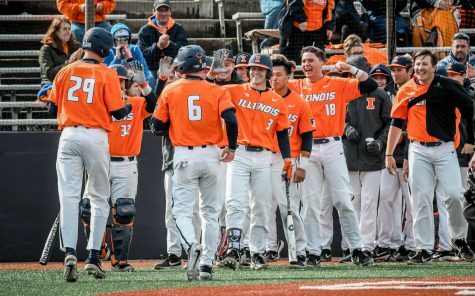 Illinois has won nine-straight games against Northwestern. 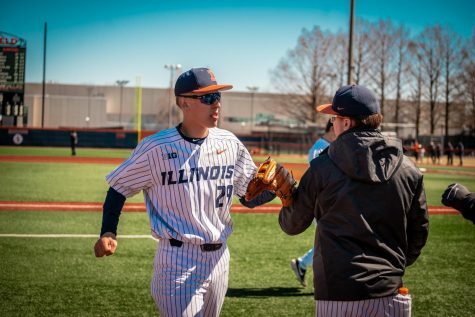 Freshmen Cyrillo Watson and Hank Christie are the probable starters for the Illini and Wildcats when the series continues Saturday afternoon at Illinois Field.